Molly McLaren murder: She did everything right, and still, she died. Molly McLaren did everything women are taught to do. Still, she ended up dead. With big, bright eyes and the kindest of faces, every time 23-year-old Molly McLaren snapped a selfie, she no doubt figured it would live in the far corners of the internet, housed in the little space she carved for herself online. Today, those photos exist for police records and are brandished across media sites, those kind, bright eyes the face of a system that failed of her. Molly McLaren was a popular kid. In fact, so popular her parents have been blown away in recent months by how many faces have popped up, the level of love thrown her way and how many have mourned the daughter they loved so. She was beautiful, intelligent. At 23, she had sailed through the murky waters of young adulthood in Kent, in the UK, having overcome bulimia and anxiety, with a fervent and decisive passion to promote self-acceptance and body image, confidence and a positive mindset. She refused to let her mental health have a stranglehold on her future, instead, hoping to empower the people around her. She often wrote on her blog and her social media accounts about these ideas; about finding the balance between a healthy mind and body through “holistic well being”. In November 2016, Molly, then at university and beginning to plot the path of her future, met a boy. His name was Joshua Stimpson, he was 25 and a warehouse worker. The two connected on Tinder and dated for seven months. By June, however, Molly ended the relationship. According to The Independent, she told friends she felt she was “constantly treading on egg shells” around him. Just five days later, she went with her mother, Joanna, to North Kent police station. His behaviour was alarming, aggressive. He making derogatory Facebook comments about her, some regarding drugs. Most terrifyingly, he was wholly unpredictable. A police officer called Stimpson while Molly and Joanna were there, warning him to stop or risk facing charges. “We wouldn’t want Molly to come to the police station again about you, would we?” said the officer. It would be one of two complaints against her ex that Molly would lodge to police in the two weeks after her break-up. Just a week later, on the 29th of June 2017, Molly walked into her Chatham gym, carefully placed her exercise mat on the floor and began working out. Moments later, her ex-boyfriend was beside her. “Mum he’s turned up at the gym and come next to me,” she texted. Kent Police believe he left shortly before 11am, and Molly sent a message to her friends saying: "Feel like I’m… looking over my shoulder all the time." By the time she had finished her session, walked to her parked car and sat in the driver&apos;s seat, a then 26-year-old Stimpson lunged at her from through her window, stabbing her 75 times in a frenzied, broad-daylight rage. While the sun shone, the morning broke and cars and people went about their days, Stimpson stood in the centre of a shopping centre car park and brutally the murdered the woman who, just a fortnight earlier, was his girlfriend. On Wednesday, Joshua Stimpson was sentenced to 26 years jail after pleading guilty to diminished responsibility manslaughter, denying murder. It took a jury less than four hours to convict the him of murder. At the time of his sentencing, an ex-girlfriend of Stimpson&apos;s wrote on Facebook she had reported him to police no less than three times. Listen: Rosie Batty tells Mia Freedman what we need to do about family and domestic violence on a local level. Post continues after audio. “This twisted f**k made my life hell and the police were informed yet did nothing about it," Alexandra Dale wrote. “This poor girl did the same and still nothing. I can’t even imagine what her family are going through." Outside court, Molly&apos;s parents issued a crushing statement, pleading for digital and physical stalking to be put on the agenda as something taken seriously. "The last six months have been horrid beyond belief," Joanna read outside Maidstone crown court. "In light of this case, we feel that there needs to be more awareness over the dangers of stalking and the need for people to report any concerns over stalking to the police. "The verdict has brought us a small measure of comfort, but it seems that nothing will take away the pain or allow us to come to terms with our Molly being taken from us. We are serving a lifetime of pain, anguish and loss." 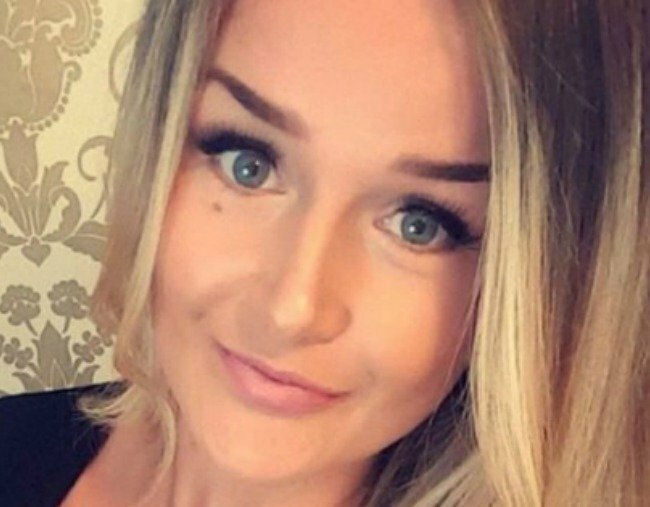 A lifetime of pain, anguish and loss, because although Molly McLaren did everything we have ever told women to do - to tell friends, family and the police - her life and her future was stolen in a matter of cold-blooded, callous minutes. She followed the rules and at 23, she wound up dead. Molly McLaren&apos;s life shouldn&apos;t have been the price we paid to prove a point: A point about how now, more than ever, the rules have to change, the complaints heard and domestic violence put on a greater, wider, more visible stage to be seen exactly as it is.